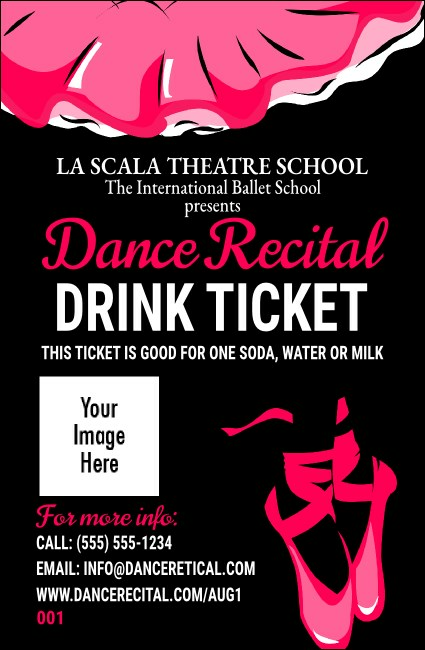 Make sure your guests are pleased at your dance company’s big seasonal performance when you give them Dance Recital Drink Tickets. These colorful black and pink Drink Tickets are a great way to earn some extra points with your guest list, and feature room to upload your own image next to a pretty pair of pink ballet slippers. Keep your balance with TicketPrinting.com.